This from the FT on the 17th February 13. De Vere Group, the hotel and health club operator part-controlled by Lloyds, is understood to be in the process of appointing advisers to sell its De Vere Venues, its conference centre division. The sale, which is expected to be launched after the conclusion of the auction for Principal Hayley, a rival Lloyds-backed hotel operator, would mark the latest step for the bank in its process of unwinding tens of billions of pounds of bad loans that it assumed through its ill-fated takeover of HBOS in 2009. De Vere Venues has not struggled as much as some rival conference centre operators during the downturn, with a clutch of long term contracts, including with BMW and Allianz, helping to underpin revenues. As well as the conferences business, De Vere owns a portfolio of hotels, including the Grand in Brighton, and 25 De Vere Village Urban Resort health clubs. The company has said it plans to expand the Urban Resorts division and is targeting six to eight properties in the next two years. De Vere is one of a rash of companies with large property holdings to be swept under the auspices of Lloyds during the downturn. The company has debts of £1.1bn, all of which is held by tax-payer backed bank. Lloyds declined to comment on the sale process, which is understood to be being led by the board of De Vere. According to one person familiar with the company, Lazard, the investment back, is likely to be appointed to run the sale. If it goes ahead, the sale would mark a rare piece of deal-making in the hotel and leisure market, which has suffered a sharp contraction during the last year. Only £300m worth of deals were done in the second half of 2012, according to research from Deloitte, compared with about £1bn in the first half and about £2.5bn in the second half of 2011. Some single asset hotel transactions did take place, though these were mainly confined to London. 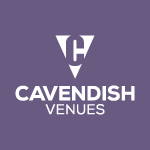 Ascott Group bought the Cavendish Hotel in Mayfair from the Barclay brothers for £159m. Outside London, there were distressed sales for the Glasgow Radisson Blu, the Hyatt Regency in Birmingham and the Belfry in Warwickshire. De Vere declined to comment on the sale.